Our Slick-Oiled cap looks and feels like a great old friend. 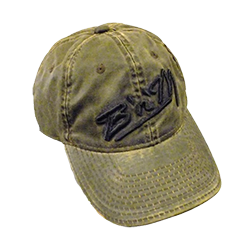 Beautifully weathered and distressed, this sturdy cap has the character of a vintage bomber jacket - the real deal. One size fits all, but especially good for larger sizes!